Wekan is an open source project management tool. "For the privacy conscious and those who prefer open source solutions"
Wekan is still in its infancy. As of me writing this review they haven't released a 1.0 yet. Yet it already has a lot going for it. There are situations where a publicly hosted solution, like Trello, is not viable. I was in that situation myself. Sadly that was before Wekan was born; looking back I'd have chosen Wekan instead of another open source self hosted solution, that had some rough edges. If you have the in house expertise it is easy enough to customize, as it's open source software. In addition it doesn't come with a price tag attached. It still grows and one should check carefully if it provides all the needed features. It would be nice if more people, especially companies would contribute to it. That would really boost development and help it gain features. It can be hosted on a private network to satisfy confidentiality requirements. It's open source, which means its source code can be audited, but also modified to fit specific requirements. "Wekan is cool and simple to use"
Maxime has done a great job with Wekan, it's simple to use and clutter free. It behaves quite intuitively, and being open source has the flexibility to be adapted or integrated with other tools in the toolbox. I use it to help me manage my personal projects as well as some collaborations with friends. The learning curve is so short that people can get value out of it very quickly rather than needing to get their heads around new concepts. "Easy and simple kanban board"
Really easy to use and to understand, yet powerfull. It focus on the basics things and do it well. The user interface is nice and easy to handle even for non tech person. It's a small project management tool for... small project. It's free (as in free beer) and open source. You can host it on modest server, it's easy to install. With few to no customisation possible big projects can be a mess to manage. There is no per user authorisations. You will need one board per project. Keep in mind this is a real kanban board, as in real life someone from the team can delete the tasks. The software is about a board with lists filled by tasks if that's engouh for you that's good ! If you hope to find evoluated administration panel, fine user authorisation and cost measuring stuffs, move along. The soft is free and licenced under MIT licence, feel free to modify and re-share it ! For agiles teams, and small group of people working on small project Wekan may help you organise your workflow. "Wekan is a great product, but it is still early and definitely not enterprise ready." It's a fully fleshed out Kanban board system, similar to Trello. I like it more than Trello because it is free, open-source, and self-hosted (meaning my data stays my data). It also looks much better and more professional in my opinion, where Trello looks somewhat childish. It's still a work-in-progress, so some core things that an organization would want to use are missing. For example, an administrative user who can manage the system and control user accounts. Since there is currently no way to restrict user sign-ups, I host my instance behind an HTTP authenticated nginx reverse proxy, but this isn't ideal. 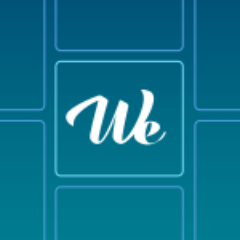 If you're looking for an alternative to Trello, Wekan is great. If you don't have the technical skills to follow along at https://github.com/wekan/wekan/wiki/Install-and-Update or don't have your own server to run it off of, it's probably not for you. I use Wekan for most of my project management needs. It lets me quickly and easily set up tasks and things to do, and the ease of use helps me stay organizing. "Excellent replacement for Trello. Customisable and fast!" Since it is an open source kanban board, I can customise it the way I want. Host it on my system and use it. The board also has a lot of bells and whistles, but a low memory footprint. Other than that, it is a perfect tool for team management. Nothing as such, all seems to be fine. It delivers what it promises. Wekan allows me to manage my team and their tasks better. Everyone understands what is everybody else doing, it feels all open. I like Wekan as a tool as it lets me focus on what is important at present, as all the tasks are logged on the boards, I can get my next task from there. Kanban boards are a good way to be productive as a team, or individually. Didnt really like The design altogether. I know it is inspired from Trello. But when i am in a board and open a card then close it, and then press The back button instead of taking me back to the dashboard it opens the card again. I am trying to build a team collaboration tool for small businesses myself. And wekan helped a lot in underatanding the procedure in many ways. 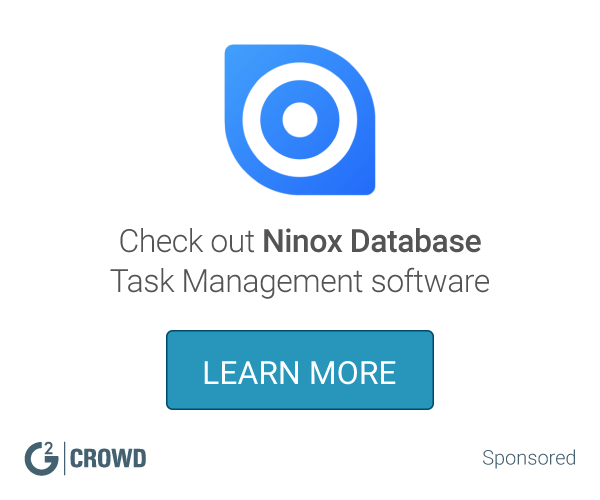 "A suitable replacement for Trello with the ability to host it yourself." It is designed really well and has all of the essential features for a Kanban board. I have been hosting it myself on DigitalOcean for months and I've never had a single problem. The web interface is responsive and mobile-friendly. The Wekan team has a Gitter and appears very responsive so far. It lacks a few of the 'extra' features that Trello has like checklists, due dates, and good media integration. It will fulfill all of your basic needs. If you need anything fancy - it may not work out for you. However, it is open source. So, go ahead and implement the feature yourself. Currently, I've only used it for personal projects. "Open source Trello, marred by lacking mobile support and missing features"
Essentially an open-source clone of Trello, although in some ways it is starting to branch off by itself now. Since you have control of the database and underlying code, it's quite easy to import, export, and back up your board data, which is very important. While Trello does have export functionality, it's marred by the fact that there is basically no way to import it back. There are some missing features compared to Trello, some of which are even quite basic. For example, you cannot set due dates, and while the team has stated that they would "like to support this feature", there's no sign of it yet. A mobile application is also essential for me, since I use systems like this to organise my life. Since Wekan doesn't have one yet, it's hard to recommend to those who need access to their lists on the go. I would recommend you come back when Wekan is generally more mature. Right now it is missing too many features to be a serious Trello competitor. Time management. I currently use Trello for this, but I was interested in using an open source alternative so that I could have better control of my data. Wekan doesn't seem quite mature enough for this yet though. We own the data we create on our boards. Nothing! Functions just as Trello does for us! The issue of having to secure data behind our own firewall to fulfill security requirements on the enterprise level. By having a powerful tool like Wekan being a piece of open source software that fulfills the need for us owning the data we are creating, it opens us up to the possibility of using other open source tools to achieve a lot more for a lot less. "Very Trello-like experience - and that is a good thing." Wekan is very reponsive. Everything happens happens instantly and the immediate feedback is great. It's very much modeled after Trello - they even use some of the same words for the concepts inside the app. I would like Wekan to be a bit more flexible in its configuration. While it's great that it's very easy to use and deploy, sometimes you just wish for this one thing, and it's not there. Basically, I use it to keep track of things so that nothing get swept under the rug when things get out of hand. It definitely helps to have a way of quickly wiring down tasks and assigning them to people. Labels for cards help to get an quick overall overview. Local install of Trello. We use Wekan for local data, so that we don't have to trust Trello with our data. Not as full featured as Trello. No search function. Lack of admin users. Lack of colors for backgrounds. Wekan is great for local storage of your data when you still want to use a full featured kanban board. Wekan is helping our group collaborate more, assign tasks and track them, and we don't have to trust anyone else with our sensitive data. "wekan is one of my favorite open source project. " The web app is not responsive and there is not mobile app for wekan. "Using it for personal projects"
- Open-source, thus installable on-premise. - Feature-complete for a standard usage. - No learning curve if used to Trello. - Bad keyboard accessibility, which means lost productivity. - Permanent hosted service is hard to get quickly. - Copy-paste of Trello UX. Double-check you don't need some of the Trello features that are available only there, such as email import or a calendar view. Dead simple project management, without depending on an external, US-hosted service. * We monitor all Wekan reviews to prevent fraudulent reviews and keep review quality high. We do not post reviews by company employees or direct competitors. Validated reviews require the user to submit a screenshot of the product containing their user ID, in order to verify a user is an actual user of the product. Hi there! Are you looking to implement a solution like Wekan?